SEGA‘s Mega Drive Mini has been in the works for a while now. Finally, the company announced a release date at SEGA FES 2019. It will be launching worldwide on September 19th. There will be a standard version for 6,980 yen, or approximately $70 USD, and a two-controller version that will be 8,980 yen, or approximately $90 USD. 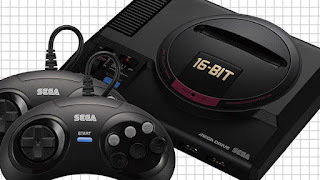 The SEGA Mega Drive Mini will contain 40 titles, and SEGA has announced the first 10. The list of games will vary, depending on the region. You can see the list of confirmed games for yourself down below.